It’s a land we love, and even more importantly, it’s a landscape we intimately understand. We have learnt which combination of cultivars, soil types and areas on the farm lends our wines the complexity and personality (styles) for which they’re celebrated. 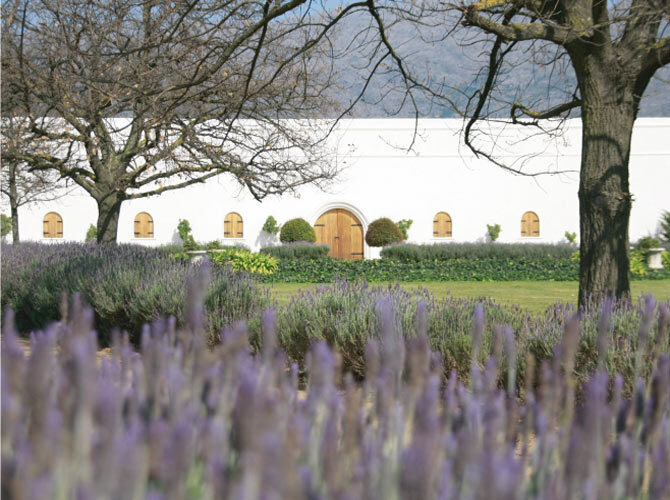 Third oldest wine estate in South Africa under ownership of the same family since 1822. Deetlefs Estate is situated at the foot of the Du Toitskloof Mountains in the Breedekloof region, Western Cape, 1 hour drive from Cape Town. 105 hectares are under vines with 60% white varietal and 40% red. Long lingering aftertaste of intense red berry aromas with hints of mocha and spice. Perfect balance between fruit and oak. Very intense yellow colour. Subtle honey, lime, spicy aroma with an explosive, yet elegant expression of fresh peach that is well rounded with lanolin and peppery flavours. Wine has exceptional balance on the palate. Entry is smooth with nice full, rich lingering after taste. Every part of the palate is filled with flavours of spice, lime, pineapple and ripe fruit. This wine has exceptional depth and length. Fruity flavours of cherries, raspberries and black currents with a balanced oak influence. Dry but soft finish with juicy tannins on the mid-palate. Fresh crispy apple acidity, with a subtle oak presence which adds a creamy complexity. Wine has full and long aftertaste. Fruit aromas of mulberry, raspberry, cherries, and prune with a subtle presence of vanilla, spicy oak and an earthy undertone. Flavours of plum, cherries and rosemary with subtle oak spice on palate. Full middle palate with a smooth fruity finish. Fresh citrus (naartjie and lime) entry with good presence of stone fruit (peaches) on the middle palate with a full creamy finish and a subtle oak influence. This wine has a light green/lemon color. It is a very complex combination of flavors that include granadilla, litchi, pineapple, gooseberries and green pepper. The wine shows crisp balanced acidity. It has very good concentrated fruit aromas with lingering grapefruit after taste. A touch of minerality on the palate adds good complexity. Lively spicy aromas with a fresh, smooth palate. A touch of sweetness with a floral aftertaste – the perfect accompaniment to almost any meal. This has a light yellow-colour. Aromas of Muscat, litchi and Turkish delight dominate the palate. Wine shows exceptional balance between sugar, acidity, alcohol and structure, with surprisingly structured finish. Ruby red colour. Very typical Cabernet Sauvignon aromas of blackcurrant, raspberry, and spicy oak accompanied by underlying herbal rosemary and lavender aromas add to complexity. Soft tannins and good red fruit flavours make this an easy to drink Cabernet Sauvignon. A dark, ruby red colour. Upfront fruit character with black cherries, blackcurrant and raspberry flavours on the nose. The wine has a well-balanced oak influence with spicy clove and pepper aromas. Wine shows exceptional herbal rosemary and lavender aromas. A fruity entrance with lingering spicy oak flavours of vanilla, cloves and pepper on the palate. The wine is well balanced & round with an elegant tannin structure. It shows good length and depth of flavours on the finish. A dark, ruby red colour. A complex combination of red berries, spices and floral perfume aromas contribute to different layers on the nose. There is a soft, round entry on the palate with a full middle palate and a long, integrated aftertaste. Once again red berries and spices are prominent. Light yellow with green tinge. The wine has enticing tropical notes of passion fruit, pineapple and ripe kiwifruit. It is well balanced by green peppers and freshly cut grass aromas. The palate is fruity and fresh with good citrus acidity. The wine has a linear entry with a full middle palate, provided by the Sémillon. The wine has a fresh entry and a lingering aftertaste. Light pink colour. Aromas of strawberries, raspberries, cherries and summer fruit contribute to an intensely aromatic nose. The palate show good balance. Fresh red berry and summer fruit aromas with a fleshy backbone. Entry to the palate is dry, soft and approachable with fresh berry sorbet acidity. Deep dark red colour. Aromas of red and black cherries, prunes, blackcurrants with subtle spicy notes of cloves and pepper add to a very interesting and complex nose. The aromas on the nose carry through on the palate. Surprisingly structured tannins add good weight. The wine shows good complexity with a fruity and round finish. Dark red colour. Red cherries, strawberries, prunes, plums and a hint of mint add to the complexity. Clean fruity entry with good firm tannins; still young and tight but well-rounded. Good lingering aftertaste, with exceptional fruit expression. Deep dark red with purple tint. Very aromatic. Good expression of raspberries, red cherries, blueberries and aromatic violets. Elegant herbaceous aromas with black pepper and cloves. End with spicy aromas of rosemary and lavender. Juicy red fruit entry with firm and round tannins. Subtle creamy notes integrate with meaty finish. Well-rounded with good length and expression of pure fruit. Light lemon yellow colour. Tropical fruit explosion on the nose with complex aromas of guava, granadilla and pineapple backed up with Granny Smith apple and lime aromas. Fresh and fruity entrance with well-balanced acidity. Aromas on the nose carry through on the palate and the wine shows good complexity. Good deep red colour. An explosion of red berry fruits and hints of spicy aromas of cloves and black pepper. Pleasant fruity palate rounded off with soft tannins. Good lingering aftertaste. Light lemon yellow colour. Sweet tropical fruit aromas of pineapple and granadilla are accompanied by some typical green aromas like green peppers and grassy aromas. The wine has a fruity entry with good juicy citrus acidity and long aftertaste.